I never know what to bring to potlucks. It has to be easy, preferably healthy, but also tasty so that the non-vegetarians in the room don’t balk. I figured quinoa would be a little out of the ordinary, but my usual broccoli quinoa routine wasn’t going to cut it. After deciding on a quinoa salad, I collected a variety of multi-colored veggies and hoped for the best. Of course after I got home, I realized I didn’t have a dressing so in a pinch I mixed up some lime juice and olive oil. And I have to say I was quite pleased with the results so thought I’d share. 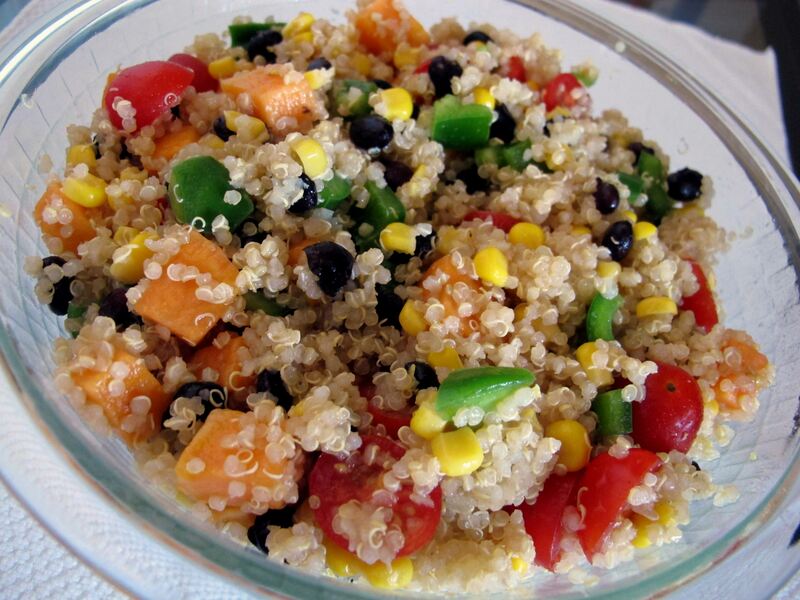 It will last for a good week, travels well, and is a great opportunity to introduce friends to the wonders of quinoa! 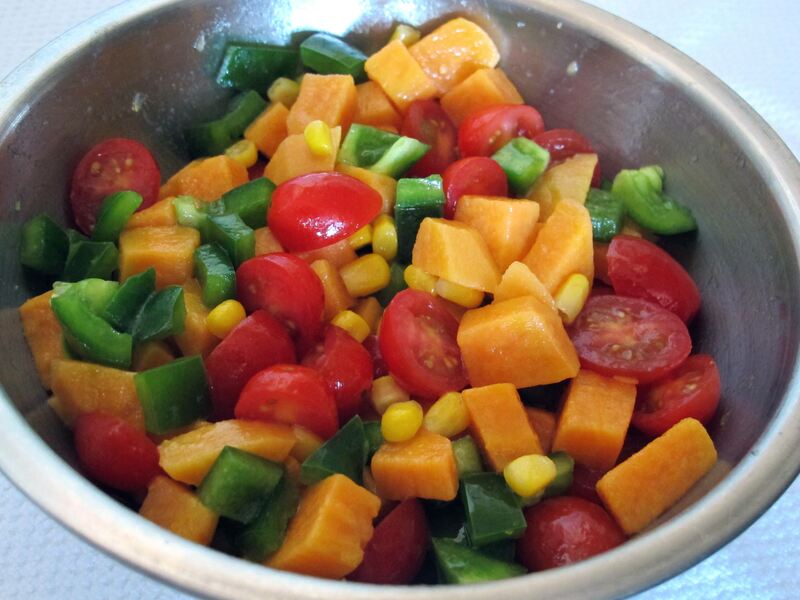 Boil diced sweet potato for approximately 3 minutes and slice/ dice/ prepare all other vegetables. Set aside. 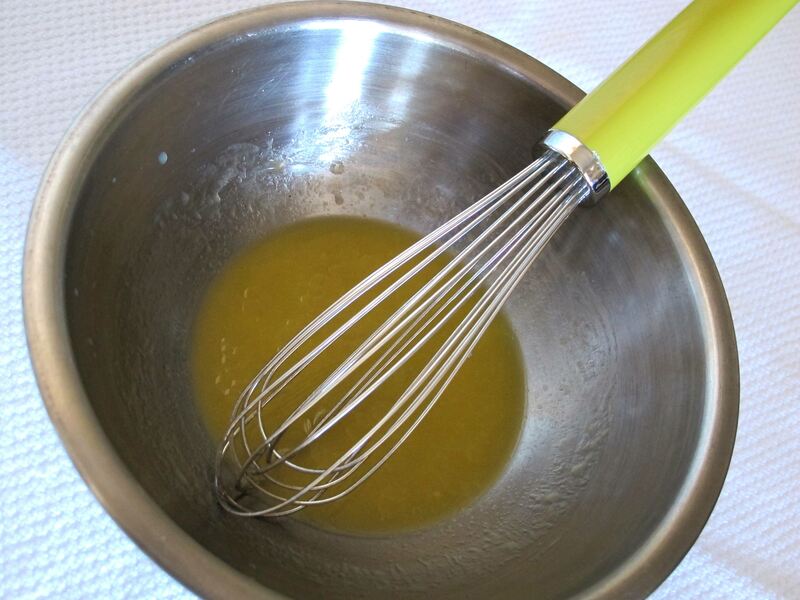 In a medium bowl, whisk lime juice, olive oil, and salt until well blended and frothy. Then add the veggies. Toss well and let sit to absorb the flavors of the dressing. What is it about lime juice that makes everything taste fresh and clean? 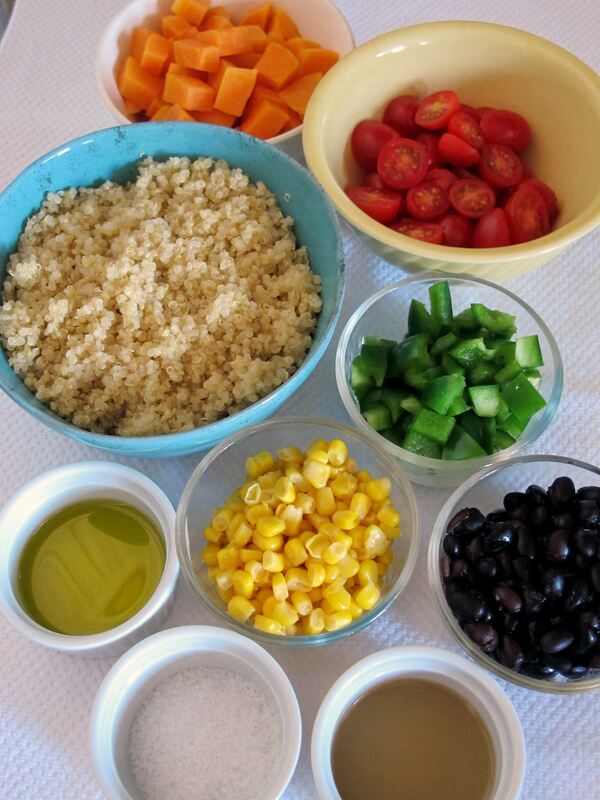 In a larger bowl, mix the quinoa and dressed vegetables. Tastes as good as it looks! This entry was posted in Delicious Recipes and tagged Grain, Salad, Vegan. Bookmark the permalink. Well, I´m not a veggie and I´d be thrilled if someone turned up at my house with this!